Children growing up in Gaza have witnessed more conflict than many of us will see in a lifetime. Eleven-year-old Nada has already lived through three wars in her short life, and faces the realities of the nine-year Israeli blockade every day. It affects her education, the food she has to eat, and her hopes for the future. Here she tells us about a typical day and how ActionAid is helping her cope with some of the trauma she's been through. Six months have passed since the international community promised aid and radical change for Gaza after the third and most destructive military operation in the last six years. Gaza’s 1.8 million children, women and men still remain cut off from the West Bank and East Jerusalem, as well as the rest of the world, by Israel’s land, air and sea blockade. It’s exactly six months since Israel's shelling of Gaza ended. Thanks to donations to ActionAid through the Disasters Emergency Committee appeal we're still helping women and children like Ghada and Mahmood to recover from the trauma and rebuild their lives. It is six months since the conflict in Gaza but as winter hits hard, thousands of people are still in desperate need of basic items to survive the cold weather. 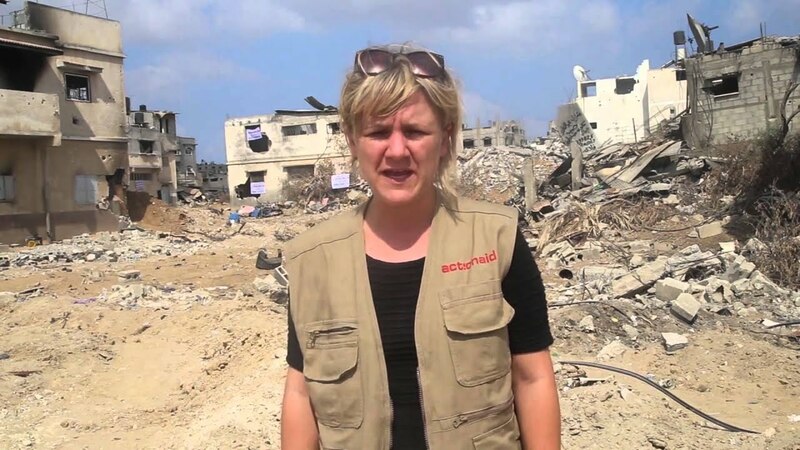 I was in Gaza last weekend to document ActionAid’s aid work on the ground, enabling people who have lost everything to buy essential food and supplies.I entered the Strip through the Erez crossing – an entry point solely for aid workers, journalists and a handful of Palestinians receiving medical treatment in neighboring countries. Every other Palestinian in Gaza is only able to leave or enter the area if they manage to get a permit under exceptional circumstances.